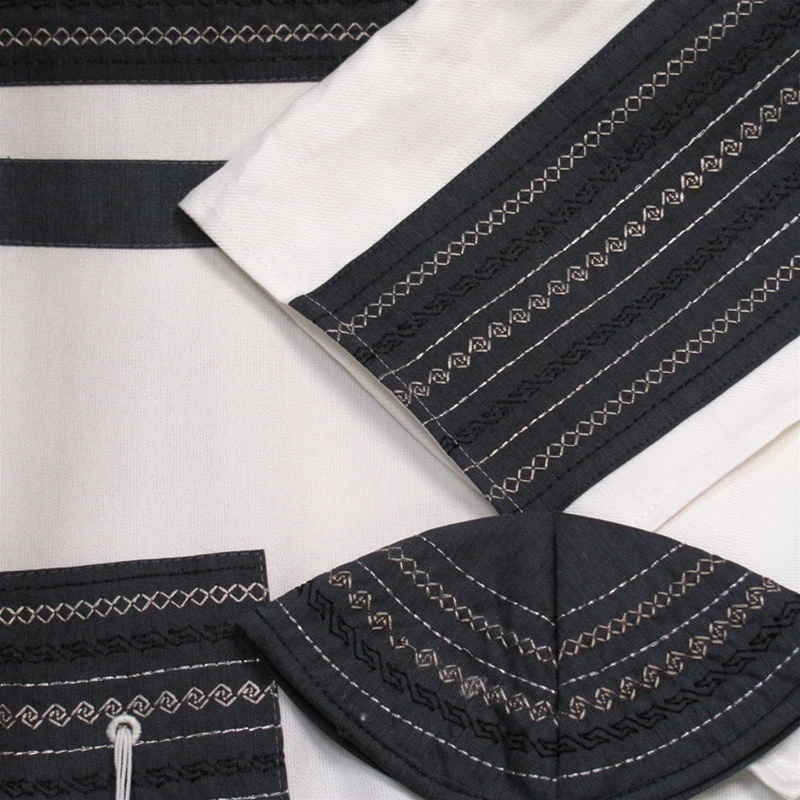 Designed by Israeli artist Akiva Lamy for Argaman Talit. 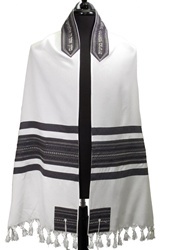 This contemporary classic talis in shades of charcoal and beige creates a textural striped pattern on the body of the talis along with emphasizing the beautifully embroidered bracha on the atara. Made in Israel. 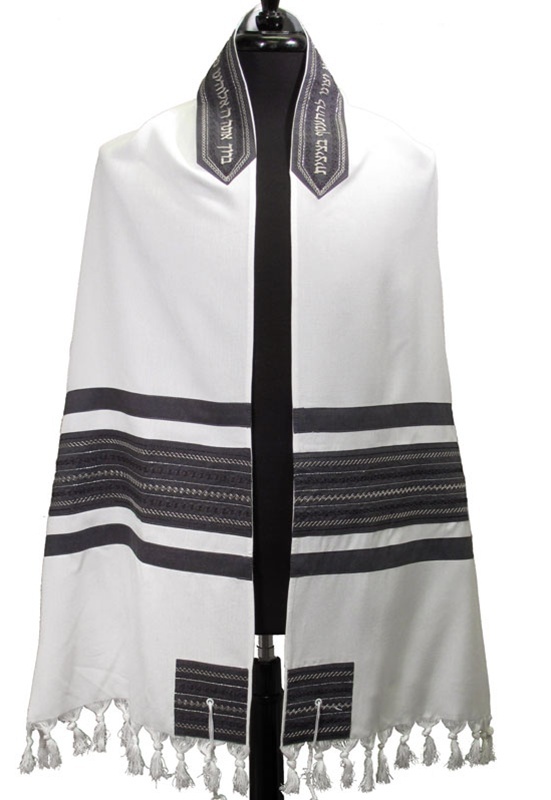 Geometric Design Talit Argaman Women's Light Blue and Lavendar Tallit David Talit in Black & Silver Argaman Women's Talit with Lavendar, Light Blue and Pink Stripes 18"x72"